One of Thermalabs best-grossing products, the Ultimitt tan applicator mitt, has made it to the global bestseller position in its category. This essentially means that the Ultimitt is currently viewed as the best-ever tanning applicator mitt in the market. This is a big achievement by Thermalabs, a company that has been making cosmetics products over the last three years. Multiple other products by Thermalabs have also accomplished this notable accolade, an indication that the brand’s objectives are consistent with consumer needs. Thermalabs is a cosmetics firm that was established in New York nearly three years ago. The company was launched in an event held in New York towards the end of 2013. It holds a major production facility in Israel, where a team of pro researchers and skin care experts work to find innovative new products that have the capacity to change how people pursue beauty. At the time of launch, Thermalabs introduced an organic tanning lotion that turned out to be an instant hit. The product was a self-tanning aid that got impressive results barely four hours post-application. Based on an all-natural ingredients formula, the company’s pilot product helped set the stage for the future launch of its subsequent releases. It also played a significant role in helping Thermalabs attain over 50, 000 customers within its first year in business. The Ultimitt is the recommended tan applicator mitt for Thermalabs tanning lotion. However, it is also compatible with other brands such as St. Tropez, Fake Bake, St. Moriz, Jergens, LoReal, Clarins, Banana Boat and many others in the market. The company apparently designed this applicator mitt to solve the problem of other mitts in the market. Based on the product’s selling description, it is bigger, better and long-lasting than any other mitt available. It also does not crack or break easily. Thermalabs Ultimitt covers the entire hand during application to avoid staining. All these unique additions have perhaps played a part in making this product the bestseller it currently is. 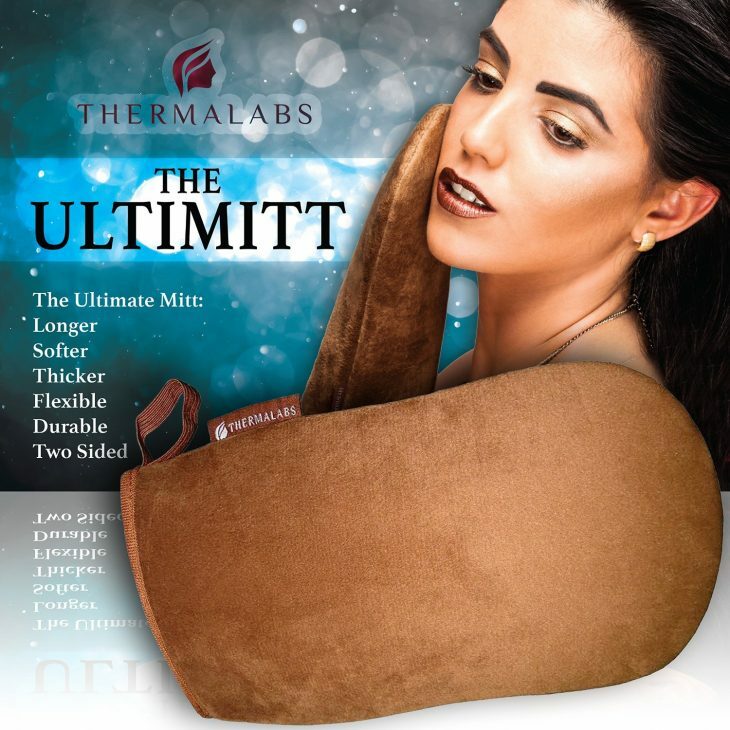 In addition to the Ultimitt, other awesome products by Thermalabs that have made it to Global bestselling lists include the Glow2Go tan towelettes, the Exfoliating Gloves Set, and the Natural Self Tanner. The company’s obsession with quality, green formulations has been a major advantage especially in a market that’s known to be highly competitive. In recent times, the company has revealed plans to release multiple new formulations designed to help people look beautiful more easily. This includes skin care products that are designed from special ingredients and rare mineral salts extracted from the Dead Sea. Thermalabs has also launched an exclusive new brand – Tent World – that will be responsible for its new line of beach and sports tents. This is a new range of tents that will be used as a relaxing or hiding point after a long dip in the water at the beach. The company’s new tents will also be ideal for other outdoor purposes such as hiking, camping, picnicking, etc. With each new accomplishment, Thermalabs seems to be getting closer to its objectives for a skin cancer-free society.